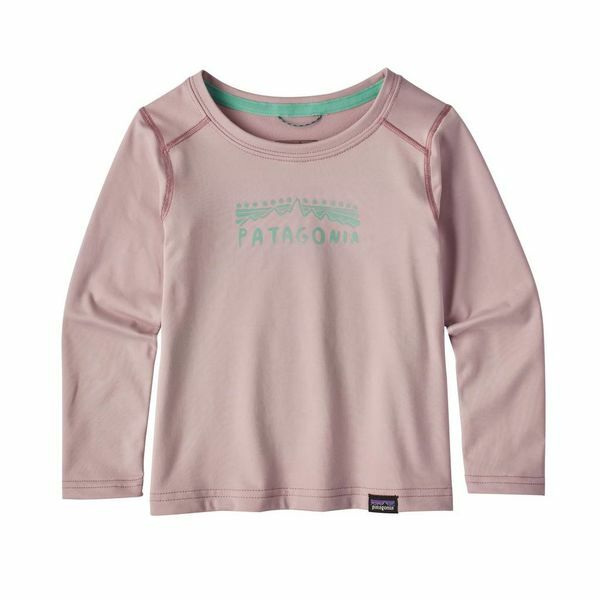 This Patagonia Baby Girl Capilene Crew will become your favorite all season base layer for your little one; it's so soft! Pair with Capilene Bottoms for complete comfort and cuteness. 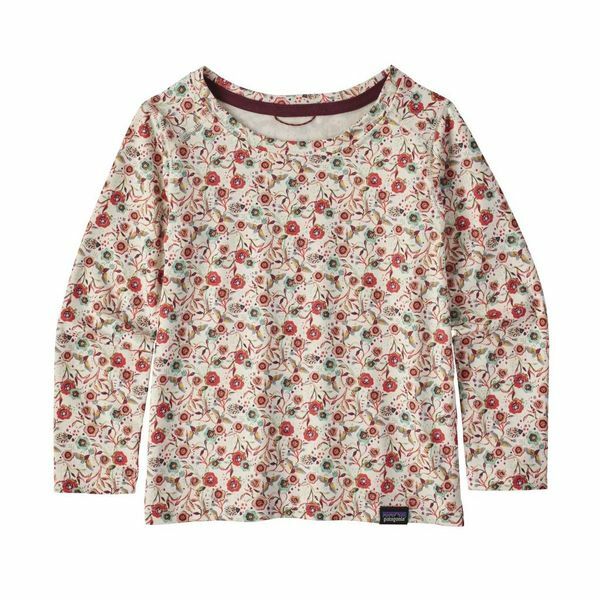 The versatile Baby Capilene® Crew is a shoulder-season stand-out, warding off cold in a myriad of conditions. Incredibly soft 88% polyester/12% spandex sueded jersey fabric has a wicking finish for excellent moisture-management and Polygiene® permanent odor control. Self-fabric crewneck styling with internal back neck tape provide an itch-free fit. Forward shoulder seams and flatlock seams throughout prevent chafing. Underarm gusset won’t impede mobility. Locker loop cord for easy storage. Fair Trade Certified™ sewn.